Please Insert Disc x; Disc lid is open, please close: these are things that we rarely see in new video games: high-density optical media and the proliferation of hard drive storage and Internet access in home consoles had put paid to the necessity of the distribution of large sets of discs to accommodate for data-heavy products. This is somewhat of a shame: the PlayStation multi-disc cases were particularly hard-wearing and substantial-looking, and the feeling of possessing a “set” of some things that constitute a whole is a satisfying one. Fear Effect is one of these such sets: a technical tour-de-force of its time, and a game that holds us well in spite of its thirteen-year vintage. Fear Effect employs cel-shaded-esque foreground graphics with FMV backgrounds. 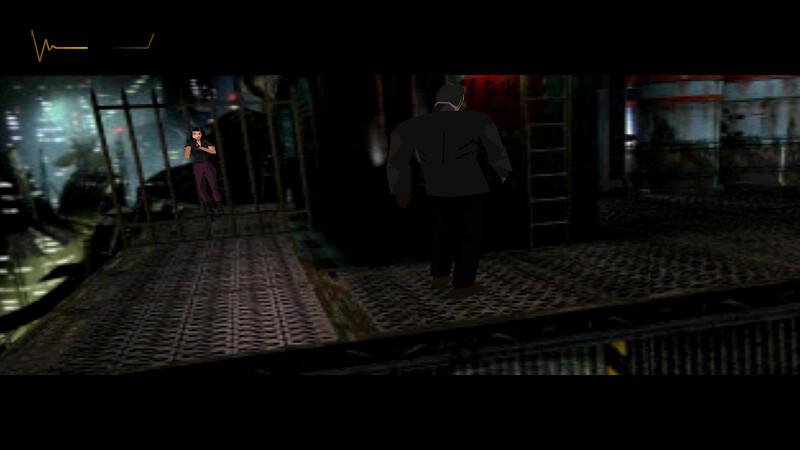 Admittedly, the bulk of the potential 2,800MB of data available across the four CDs that Fear Effect takes up is used on the unique visual style of the game: the game employs a lot of Full Motion Video (FMV), both in-game and in terms of cut-scenes. The division between manga-inspired animated graphics of the foreground player and non-player characters and the animated FMV of the background is a stark contrast, and one that generally works with the gritty-yet-stylised nature of the game world. This aesthetic choice, however, means that the four-disc game hardly constitutes a huge game in the same way that the four-disc Final Fantasy VIII is: there is not sixty-hours plus gameplay on offer here: it will generally take about two hours per disc to get through everything, putting the total gameplay at around eight hours. On the issue of gameplay, the game straddles an uncomfortable seat between survival horror, action and stealth game mechanics. 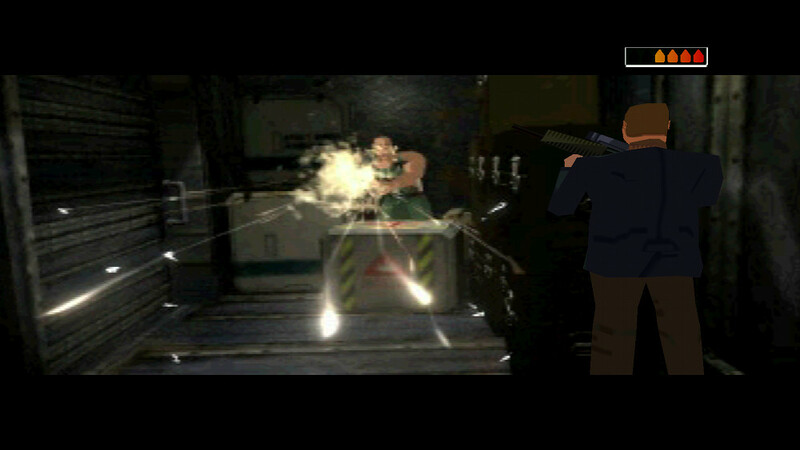 The tank controls and puzzle elements of the survival horror genre mesh well with the shooting elements borrowed from more conventional third-person action titles, with the game rewarding stealthy behaviour through the providing of one-hit kills of enemies who are unaware of the presence of the player, should the player come close enough to the enemy. The adventure elements of game are solid: exploration of areas that one would not otherwise have to go through often leads to greater rewards, such as ammunition for weapons, which can sometimes be scarce, or weapons themselves. The control system, especially when combined with the inventory system – a system that in its use does not pause the game and requires the player to cycle through items with square and circle, then selecting an item for use with triangle – can prove incredibly frustrating until the player comes to grips with it. The initial difficulty with evading enemy attacks, particularly in action-heavy sequences such as boss fights, is lessened somewhat once the player learns how to use the rolling evasion technique available: a press of L2 along with a direction will send the player into a roll, making the player incredibly difficult to hit. Even where the control system is infuriating, this is to the credit of the game: knowing that one cannot reliably merely run from danger promotes more cautious, strategic play and serves to heighten the tension of the game’s atmosphere. In boss fights such as this one, judicious use of the “evade” button is essential. The puzzles in the game are anything but intuitive: the game appears to lean towards the Resident Evil model of making the solutions to its puzzles incredibly difficult to find, rather than the more measured, more reasonable approach of its sequels. 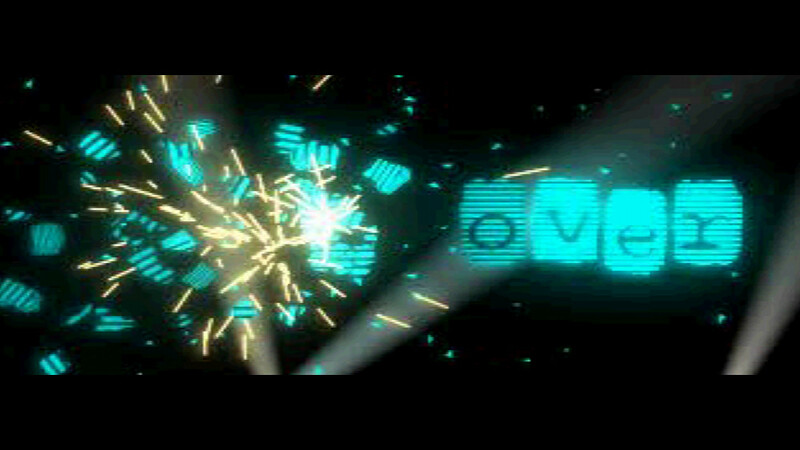 The first real puzzle of the game, which involves attempting to determine the correct sequence of wires to cut to defuse a bomb strapped to an unfortunate fellow’s chest, is solved by reference to the flashing of a sign in a corridor you pass five minutes before the game sets you this task with a six-minute time limit. Admittedly, this is a refreshing diversion from the excessive hand-holding of more recent titles, with clues being ridiculously telegraphed, but as the game goes on, these clues become more and more obtuse – a puzzle in late game relies upon reference to a non-player character’s age in entering a safe combination. This is a wonderful way to perform character exposition, but the game makes no reference to the fact that this is what the player is expected to do. Another area in which the game can sometimes be incredibly unfair is the placement of save points relative to the areas of greater challenge: given that the penalty for the incorrect completion of some of the puzzles is the death of the player, having a save point a good ten minutes of gameplay away is incredibly punishing. Undoubtedly, this does add to the tension of the game, but not for the right reasons: this does not feel like good, engrossing game design, but more of a cruel joke on the part of the developers if deliberate given the difficulty of the combat that tends to precede the puzzle. Fear Effect does not shy away from humour in its presentation of narrative: here, Hana takes advantage of male one-trackedness to provide a distraction. These blemishes on the otherwise excellent presentation can be forgiven, however: what makes Fear Effect a gem is not its graphical finesse, but rather its plot and method of storytelling. The pacing of the game is spot-on, with the game’s ability to raise the tension and hold it at a plateau before releasing it with a splendid climax outdoes that of any game in the Resident Evil series and is easily on a par with Silent Hill in this regard. The game revolves around three protagonists – Hana, Glas and Deke – and their mission as mercenaries to capture the daughter of a powerful Triad boss in a fictionalised future Hong Kong. Fear Effect blends this imagining of Hong Kong with traditional Chinese mythology, focussing on the exploration of the concept of death both literal and spiritual. The exposition of Hana’s history and present is details and treats her history as a prostitute respectfully, if treating the issue a little moralistically given the presentation of her former Madam as, literally, a demon. The shifts between each player character are seamless, with narrative events providing good reason for the change in control and skilfully meshing the actions of the next character to be played with the actions previously undertaken as another character. The degree to which the story had been thought out is best demonstrated by the fact that if in the final boss fight, the player character is defeated, the game shows an alternate ending depicting the consequences of the failure of the player. It would be nice to think that the passing graphical similarities between Fear Effect and the Broken Sword series is not accidental: both are games centred around a strong, well-delivered narrative, and both have a sense of the ridiculous. Fear Effect, in spite of its sometimes heinous difficulty is still worth a play today for its visual style, at times flawless gameplay and ability to hook a player with all of the twists and turns throughout the game. GAME OVER SCREEN ANALYSIS: Given how many times I saw a game over screen during my playthrough of Fear Effect, I think it is testament to the level of consideration taken in development that I think I rarely saw the same game over screen twice. Each disc of the game has a “stock” game over screen for nondescript deaths, but there are also many for deaths in special circumstances, such as boss fights and puzzle failures. Each is fully-rendered in the finest FMV that 1999 had to offer and provides a little more texture to the world of Fear Effect.